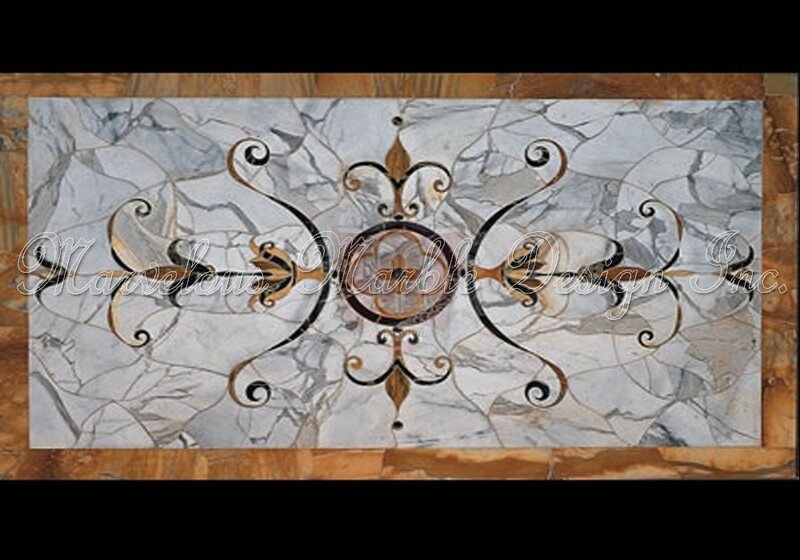 If you’re looking for a marble floor design that will beautify and personalize your custom built home in a hassle free way, then look no further than at the La Verna Italian Marble Mosaic. This design offers durable and versatile flooring that can be used to customize an entire space. With this Italian styled marble mosaic medallion you have everything that is needed for your high end home. This water jet cut marble medallion is a true work of great workmanship. 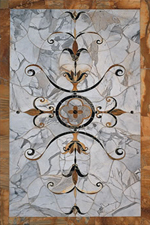 The Italian calacatta marble which the medallion is crafted from was used several centuries ago and is still used today by master craftsmen to decorate palace and palatial home floors, walls and ceilings. This Italian marble is very rare and is one of the items that are used to showcase wealth and power. The stone is quite rare such that only a few designs are crated from it annually for exclusive use in top of the luxury homes. It is totally different from other marble tiles that are today making their way into everyday homes. Allow your custom built home to boast of this stellar floor tile with its dazzling light fixture. 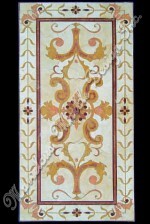 The Italian marble mosaic is second to none as far as flooring is concerned. 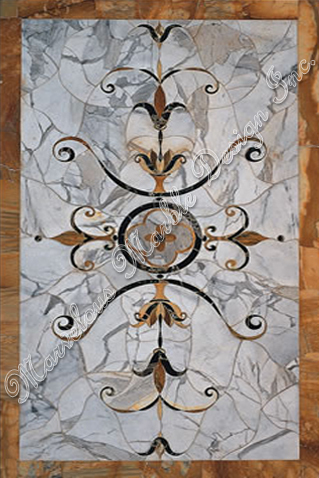 La Verna marble floor design is great for your custom built home in Los Angeles. This magnificent masterpiece features pre-historic patterns which have been sculptured by hand. The detailing is impeccable. The patterns help in adding a classical feel around the room where the mosaic is installed. 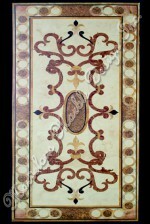 This marble mosaic can work wonderfully well in almost any place in the house be it in the kitchen or living room. The regal beauty that is at the center of the mosaic can be used to add a touch of style that is endearing and enduring. At the heart of the Italian Marble Mosaic is a beautiful emblematic floral pattern that reflects an out of this world beauty. The marble mosaic tile is unaffected by humidity. No matter the levels of humidity or heat, the mosaic remains unaffected. The marble mosaic is entirely customizable. The design is not one of those mass produced designs. An entirely unique and personalized design that defines you can be made. For installation the design is best installed using white grout color.